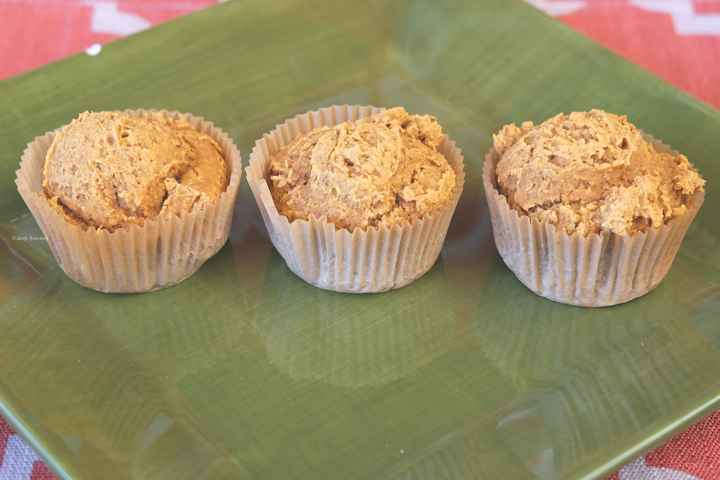 My friend Vanessa from Nessa Makes recently shared on her Facebook page how to make these simple pumpkin muffins. I decided to try them out but of course gluten free style! Two Ingredients that is all. 1 package of gluten free cake mix & a can of pumpkin. 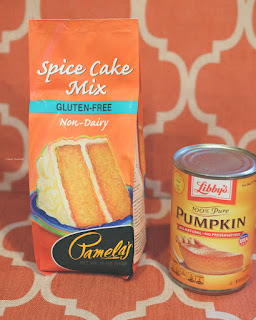 I used Pamela's Spice Cake mix to enhance the flavor. This should make a dozen muffins. 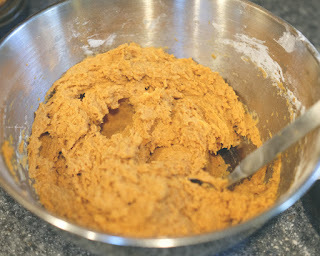 Open your can and combine it with cake mix in large bowl. Stir until it is well mixed. 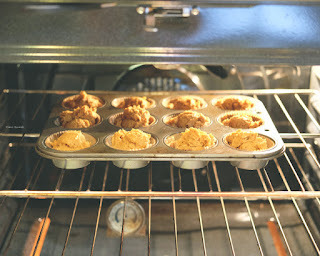 Scoop into lined muffin tin that are slightly greased. Bake at 350 degrees for 20-25 minutes. Use a tooth pick to check on them. Keep on eye on them you certainly don't want undercooked or overcooked muffins. That is it. Now enjoy. My personal recommendation is to lightly frost them with a cream cheese frosting, ooh they are delicious!